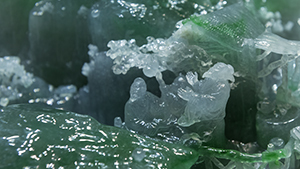 Jade has its cultural roots in the smoke-dimmed caves and huts that sheltered prehistoric humans. Around the world, Stone Age workers shaped this toughest of gems into weapons, tools, ornaments, and ritual objects. 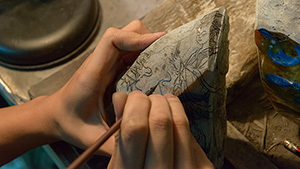 Their carvings invoked the powers of heaven and earth and mystic forces of life and death. 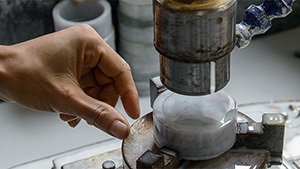 The traditional jade flat disc with a hole in the middle, known as a “bi,” symbolizes heaven. 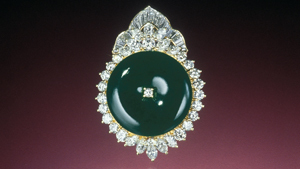 For both jadeite and nephrite, green is the most valued color. 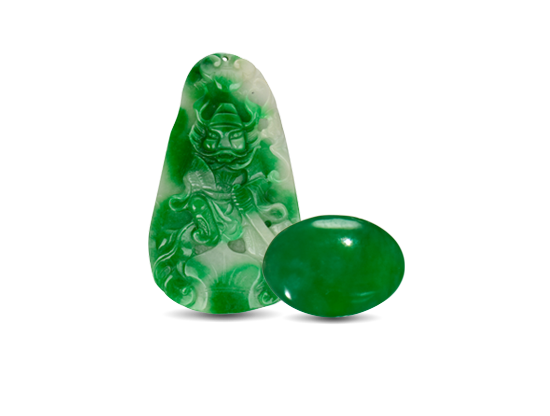 Semi-transparent clarity and fine texture also increase jade’s value dramatically. 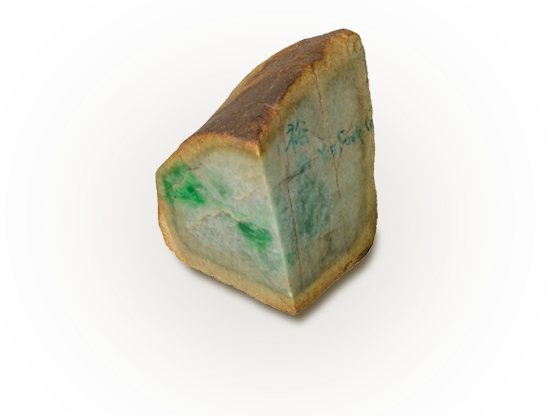 Jadeite has a lovely, smooth, and even texture that makes people want to touch and hold the gem.